Early each week, Porsche Cars North America will provide a weekend summary or pre-race event notes package, covering the IMSA WeatherTech SportsCar Championship, Pirelli World Challenge (PWC), the FIA World Endurance Championship (WEC) or other areas of interest from the world of Porsche Motorsport. Please utilize this resource as needed, and do not hesitate to contact us for additional information. Test Time. 16 Porsche Racers To Get Pre-Season Sebring Test This Week. Florida 36. Porsche Has Won Rolex 24 and Sebring 12 Hour 14 Times In the Same Year. IMSA Continental Tire Sports Car Challenge. Sixteen (16) Porsches come to Sebring, Florida for IMSA’s open test at Sebring International Raceway on February 20 – 23. Testing on the bumpy 17-turn track has been ongoing for many teams but this is the first official IMSA-sanctioned test for all these classes in preparation for the March 17 Mobil 1 Twelve Hours of Sebring. The Porsche GT Team has entered both factory 911 RSRs in the WeatherTech SportsCar Championship GTLM class for the test. Wright Motorsports and Park Place Motorsports will bring their Porsche 911 GT3 Rs for the WeatherTech GTD class test. BGB Motorsports will learn the bumps of the 3.74-mile road course with its Porsche Cayman GT4 Clubsport MR in the Continental Tire Sports Car Challenge (CTSCC) portion of the week. Eleven 911 GT3 Cup cars will have their first taste of 2018 activity when testing Porsche 911 GT3 Cup cars for IMSA’s two one-make series: ten in the Porsche GT3 Cup Challenge USA by Yokohama and a single Ultra 94 Porsche GT3 Cup Challenge Canada by Yokohama entry. The top GT class, GT Le Mans (GTLM), has both the No. 911 and No. 912 entered for testing at Sebring. Frenchmen Patrick Pilet and Frédéric Makowiecki will split time in the No. 911 while their sister car will have Nick Tandy (Great Britain) and Laurens Vanthoor (Belgium) sharing the seat of the No. 912. Tandy, the overall 24 Hours of Le Mans winner in 2015, is moonlighting in the No. 912 being a regular full-season pilot in the No. 911. After an incident early in the Rolex 24 at Daytona hampered the new-to-GT Daytona (GTD) class team, Wright Motorsports looks to get their season on solid footing beginning with this test. Porsche factory driver Patrick Long (Manhattan Beach, California) and his full-season teammate Porsche Select driver Christina Nielsen (Denmark) lead the way in the No. 58 with Porsche Young Professional Mathieu Jaminet (France) and 2016 Porsche Cup winner Robert Renauer (Germany) sharing testing duties. Park Place Motorsports will use Porsche factory driver and past Sebring winner Jörg Bergmeister (Germany) to fine-tune the No. 73 with Patrick Lindsey (Santa Barbara, California) and Timothy Pappas (Boston, Massachusetts). Rookie driver Dylan Murry (Atlanta, Georgia) has been tapped for a number of Continental Tire Sports Car Challenge (CTSCC) races in the BGB Motorsports Porsche Cayman GT4 Clubsport MR in 2018. The 17 year-old Murry ran his first laps in the mid-engine car based on the road-going Porsche Cayman at Daytona International Speedway with his father, veteran Porsche racer David Murry. The younger Murry will share the No. 38 with James Cox (Nokomis, Florida) at the test. The 911 GT3 Cup cars will be first on-track starting on Tuesday, February 20. The USA and Canada series will be combined with three total sessions ending at 1:00 p.m. ET on Wednesday. The CTSCC cars will also have their first laps on Tuesday; their third and final three-hour session will be from 2:00 – 5:00 p.m. on Wednesday. The WeatherTech Series will start the first of its five sessions at 9:00 a.m. on Thursday running until 1:00 p.m. The second session runs from 2:00 – 6:00 p.m. The third test allows for night laps from 7:00 to 9:00 p.m. The fourth and fifth test sessions will be on Friday, 9:00 a.m. – 12:00 p.m. and 1:00 – 4:00 p.m. respectively. The Rolex 24 At Daytona and the Mobil 1 Twelve Hours of Sebring are the cornerstones of North American sports car racing and, together, are known as the “Florida 36”. The 56th running of the Rolex 24 at Daytona International Speedway was held on January 27 – 28 and dates back to 1962 while on March 17, Sebring will hold its 66th 12 Hour. In that time, no manufacturer has won the two events more often than Porsche. The German sports car marque holds the record for most victories at Daytona (22 overall and 77 class) and Sebring (18 and 70). They have won the “Florida 36” an unprecedented 14 times (1968, ’71, ’73, ’77, ’78 – ’87). The first victory for Porsche on the former airfield at Sebring came in 1960 when Hans Herrmann and Oliver Gendebien piloted a Porsche 718 RS 60 to victory. Hermann returned in 1968 to race the Porsche 907 prototype that had already scored victory at Daytona – it was Porsche’s first sweep of the Florida 36. Famous Porsches and Porsche drivers pepper the top of the Sebring result sheets through the 1970s, ’80s, ’90s and into the 21st century. The roster of overall Porsche victories in the history of Sebring includes Vic Elford in a 917 (1971) as well as Hurley Haywood, first in a Porsche Carrera (’73) and then a 935 in ’81. Both were Florida 36 winners in each of those years. Al Holbert raced a Carrera to a Sebring win in ’76 and a 935, with Haywood, to the “36” title in ’81. Brian Redman’s 1978 Florida 36 crown in a 935 started a streak of 10-straight Sebring wins for Porsche. A.J. Foyt, the 2018 Sebring Grand Marshall, added to his legend by winning both events driving a 962 in 1985. The ’85 victory would be the final major race victory for “Super Tex” as a driver. Two Sebring titles for Hans Joachim Stuck (’86, ’88) in the great GTP-era 962 included the Daytona-Sebring double once (’86) while Bobby Rahal’s 1987 win driving a 962 was the last in a streak of Porsche Florida 36 titles, a string that ended at ten-straight overall victories in both races. In 2008, Romain Dumas (France), Timo Bernhard (Germany) and Emmanuel Collard (France) drove an RS Spyder to the last overall win for Porsche at Sebring. No Florida 36 was possible during that era as the two events were not under a shared sanctioning body. Since 2011, Porsche has focused on the GT categories utilizing variants of the 911 making overall victories nearly impossible. Forebears to the current Porsche 911 RSR (GTLM class) and 911 GT3 R (GTD class) have 42 class victories at Daytona and 31 at Sebring. Porsche Entries at Sebring International Raceway. A total of 16 Porsche Motorsport-built race cars across four series – the IMSA WeatherTech SportsCar Championship, IMSA Continental Tire SportsCar Challenge, IMSA Porsche GT3 Cup Challenge USA by Yokohama and the IMSA Ultra 94 Porsche GT3 Cup Challenge Canada by Yokohama – are entered to test at Sebring International Raceway this week. Total Car Count: Four (4) Porsche entries will race in the IMSA WeatherTech Championship in the Sebring “open test”. GTLM Class – Two (2) Porsche 911 RSR. GTD Class – Two (2) Porsche 911 GT3 R.
IMSA Continental Tire SportsCar Challenge. Total Car Count: One (1) Porsche Motorsport-produced entry will be competing in the IMSA Continental Tire SportsCar Challenge “open test” at Sebring International Raceway. IMSA GT3 Cup Challenge USA by Yokohama. Total Car Count: Ten (10) Porsche Motorsport-produced entries will be competing in the IMSA GT3 Cup Challenge USA by Yokohama “open test” at Sebring International Raceway. IMSA Ultra 94 GT3 Cup Challenge Canada by Yokohama. Total Car Count: One (1) Porsche Motorsport-produced entry will be competing in the IMSA Ultra 94 GT3 Cup Challenge Canada by Yokohama “open test” at Sebring International Raceway. Porsche Motorsport Video News Releases. Porsche Cars North America Media Site. Porsche Cars North America Motorsports Site. Porsche North America Race Team Portal. Current news, images and notes relating to Porsche can be found on our press kit. Please contact Dave Engelman or Tom Moore for the latest Porsche Motorsports media kit. Established in 1984, Porsche Cars North America, Inc. (PCNA) is the exclusive U.S. importer of Porsche 918 Spyder, 911, Boxster and Cayman sports cars, the Macan and Cayenne SUVs, and Panamera sports sedans. Headquartered in Atlanta, Georgia since 1998, PCNA is also home to the first Porsche Experience Center in North America featuring a module-based 1.6 mile driver development track, business center, human performance center, and fine dining restaurant. PCNA employs approximately 300 people who provide parts, service, marketing, and training for 188 dealers. They, in turn, work to provide Porsche customers with a best-in-class experience that is in keeping with the brand’s 65-plus year history and leadership in the advancement of vehicle performance, safety and efficiency. 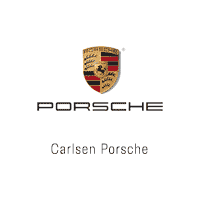 PCNA is a wholly-owned subsidiary of Porsche AG, which is headquartered in Stuttgart, Germany.